OK, so I can’t resist a bad joke. But it’s true: Sicilian wine is hot right now, especially in Italy, where for the past several years the wines of the three-cornered isle have been getting a lot of press attention and a great deal of consumer demand. In recognition of that, the New York Wine Media Guild dedicated its April tasting and luncheon to surveying Sicily’s highly varied bottlings. Organized by co-chairs Pat Savoie and Charles Scicolone, with a little input from yours truly, the WMG tasting focused almost entirely on Sicilian wines vinified from indigenous grape varieties – a decision I heartily applaud. In my opinion, the two impediments to the growth and reputation of Sicilian wine have been the fad for international varieties – think about it: does the world really want a Sicilian Chardonnay or a Sicilian Cabernet? – and the influx of young Australian winemakers, some of whom assume (a) that Sicilians knew nothing about making wine until the Aussies arrived, and (b) that Syrah is the answer to all questions. So a tasting that concentrated on Sicilian wines made from native grapes – 25 wines in all – put the spotlight right where I think it belongs, on the wines that are unique to this beautiful island. Here are the wines in the order of their presentation that day. That is a pretty exhaustive sampling of Sicily’s native grapes, spread out over 9 whites, 5 rosés, 9 reds (one non-native Syrah slipped in there) and 2 dessert wines. The varieties covered there include the white Grillo, Insolia, and Carricante, widely grown in the western two-thirds of the island, and the white Catarratto, a specialty of the Etna region. The red Frappato is usually used to produce a charming rosé wine, delightful with Sicily’s great seafood cuisine – or just about anything else, for that matter. 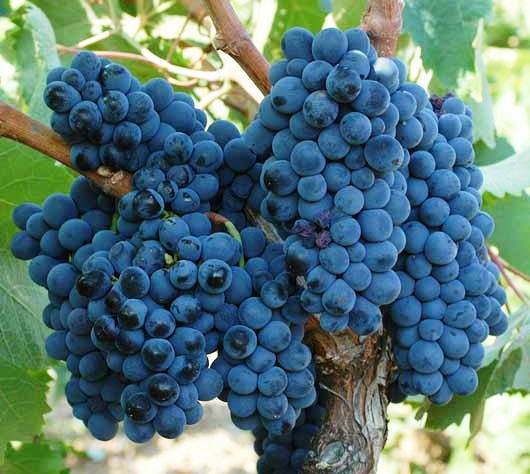 Nero d’Avola and Perricone are the favorite red grapes of the western chunk of Sicily, though a whole cluster of indigenous red varieties – Nerello mascalese and Nerello Capucci especially – replace them throughout the eastern piece of the island. That kind of completeness has been characteristic of WMG tastings of Italian wines in recent years, and it is one of the most enjoyable and most useful aspects of those tastings: You come away from them with a good sense of an area’s production, quality, and styles, which is invaluable for a wine journalist and not at all harmful for a collector or consumer. Needless to say, being the opinionated person I am, I have my favorites: I like especially the wines from Sicily’s eastern hills. It is a not sufficiently appreciated fact that, broadly speaking, Sicily has two distinct geologies. The eastern third of the island – think Messina, Catania, Etna – is part of the Italian geologic plate, a continuation of the same piece of land that is thrusting up into Europe, raising the Alps in the north and causing volcanic activity in the south. The western two-thirds of the island are a portion of North Africa that broke off from the mainland, drifted north, and got snagged by the Etna mass. That eastern, Etna-anchored portion of Sicily, with its mineral-rich volcanic soils, makes the Sicilian wines that intrigue me most – the reds from Etna and from Palari (the Faro DOC), and the whites of Etna. All taste richly of their native grapes and of their roots in volcanic soil, which may well be a wine grape’s greatest ally. 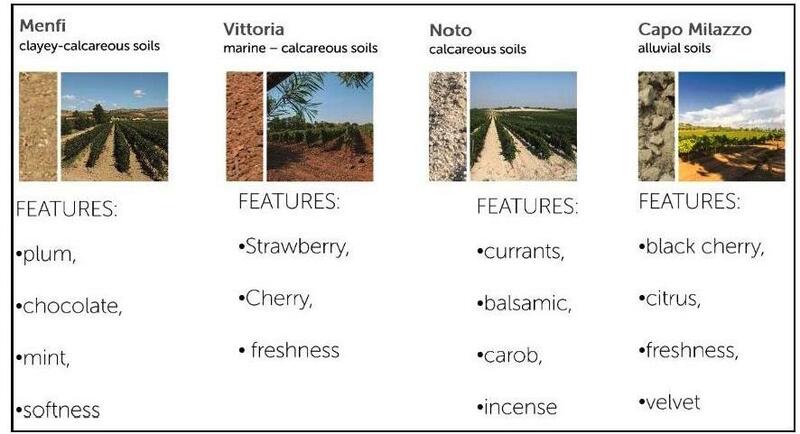 Etna’s volcanic soils especially nurture richness and subtlety in the vines that grow there, so that red wines vinified from Nerello mascalese (Faro, Rosso del Soprano, Vivera, Benanti’s Rovitello) possess a richness and nuance that remind many fans of the beauties of Burgundy. The whites vinified there from Carricante are in a league of their own: Some of Benanti’s are among the best white wines in Italy, though most of the market hasn’t realized that yet. Your gain, while it lasts, before tastings like this one spread the word. The shad have started running, one of the earliest signs that maybe this winter really will eventually end. And our neighborhood Citarella has been stocking beautifully fresh John Dory (Saint Pierre or San Pietro to those of you who speak Mediterranean, along the shores of which sea we first tasted it). It’s one of tastiest fish around, and between it and the shad, Diane and I have been hitting the white wines hard. Both shad and John Dory are fish that are so rich and flavorful that we tend to cook them very simply, the former broiled because shad is very oily, the latter lightly floured and sautéed in butter or olive oil. With either fish, we want a wine to complement its intensity, not compete with it – so no big-bodied assertive wines, but rather medium- to light-bodied whites with plenty of minerality and acidity: ideally, a wine that could serve as aperitif or appetizer companion and segue gracefully into its place alongside the entrée. Happily, there are many such, both French and Italian. Some of my French favorites I will treat in a later post. Right now, I want to focus on a handful of Italian producers whose wines have been giving us a lot of pleasure lately. This is a large estate – it has grown to 90 hectares under vines – owned by Genagricola, which as the name implies is a corporate entity. There are several such that in Italy have entered the wine world, and – to the surprise of most of us who are suspicious of big corporations playing in what we think of as an artisan’s field – most of them do a very nice job. They have the deep pockets to acquire good sites and good people and to do the things necessary to attain quality. In the case of Poggiobello, this involved not just the acquisition of land, though that was important: Poggiobello’s vineyards lie in and near Rosazzo in the Colli Orientali del Friuli, one of the best zones for Friulian wines. Beyond that, Genagricola invested heavily in terracing, canalization, and drainage – large expenditures and generally unaesthetic projects that make a huge difference to wine production. Poggiobello makes the whole line of Friulian wines, including some, like Sauvignon and Merlot, that would elsewhere be classified as international varieties but that have been cultivated here for centuries. My favorites are the whites, especially Ribolla Gialla, a wine that doesn’t get enough attention and that pleases my palate immensely: It marries particularly well with firm-fleshed, distinctive fish like John Dory. My other favorites include Friulano, which used to be called Tocai – despite the changed name its pleasing, almondy character remains intact – and Pinot bianco, a variety that seems to make interesting wine wherever it’s planted. This is a family-owned winery in the southernmost part of the province of Alto Adige, near the tiny, mostly German-speaking town of Cortina. This is a beautiful stretch of country, with fruit orchards lining the bottom lands alongside the Adige river and vineyards stretching up the slopes that frame the lush valley. Despite being so far north in Italy, the climate is more Mediterranean than continental, and a tremendous variety of grapes grow well here at different altitudes and on different soils. The latter differ quite sharply from one side of the river to the other and as you move up slope from the valley floor. All that good fish my good wife has been preparing gave me an ideal chance to catch up with some of Zemmer’s latest vintages (I’ve written about his wine before, here). The new releases quite easily live up to the fine impression that earlier ones made. I particularly liked both the 2012 Pinot bianco, which showed excellent varietal character, and the very interesting blend called Cortinie Bianco (2010). 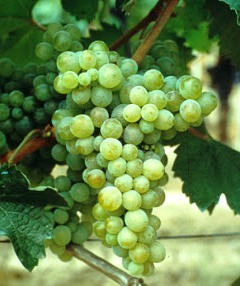 The latter is composed of Chardonnay, Pinot grigio, Sauvignon, and Gewurztraminer. Two-thirds of the grapes are fermented in stainless steel, one-third in barriques, which conveyed no perceptible oak flavor to the wine but did give it a lovely roundness and some depth. Very pleasing wines, both. This winery, with vineyards in several parts of northwest Sicily, is quite a large and committedly Sicilian firm. It has a deep faith in the native Sicilian Insolia (white) and Nero d’Avola (red) grapes, but it also cultivates Chardonnay and Pinot Nero, which it vinifies as 100% varietal wines and also blends with indigenous Sicilian grapes. Minor point: I’ve always seen the native white grape spelled with a Z – Inzolia – but Cusumano spells it with an S. Who am I to argue? The major point is that the 2012 Insolia that I drank with shad was lovely: nice varietal character – white fruits, a little peachy, with excellent minerality – and good medium body to match with but neither conquer nor surrender to the shad. Purist that I am, I prefer this 100% Insolia to Cusumano’s 2012 Angimbé, a 70/30 blend of Insolia and Chardonnay. This probably more because I am totally bored with non-Burgundian Chardonnay than because of anything wrong with the wine – which was emphatically not the case. Angimbé is a well-done blend, mixing the minerality of the Insolia and the tropical fruit character of warm-climate Chardonnay. I just preferred the distinctiveness of the native grape in purezza, as the telling Italian phrase has it. So there you have it: a run of shad, a run of white wines, and the prospect of a few more of both as spring gradually (hurry, please!) moves north. Over Labor Day weekend, Diane contrived a Sicilian summer dinner out of Andrea Camilleri’s Inspector Montalbano novels – lots of fish to please the cranky detective’s exigent palate and a good meat dish followed by cheeses to satisfy us red wine lovers. Since I really enjoy matching ethnic dishes with the wines they grew up with, this presented me with an interesting challenge. Sicily makes a lot of wine, but – truth must be told – a lot of it is very ordinary, and a lot of it is all the same, no matter where it’s grown on the Three-Cornered Isle. If one thing I didn’t want was “ordinary,” certainly another undesirable was “the same,” so I began searching for good quality Sicilian wines to match with Diane’s and Inspector Montalbano’s dishes. 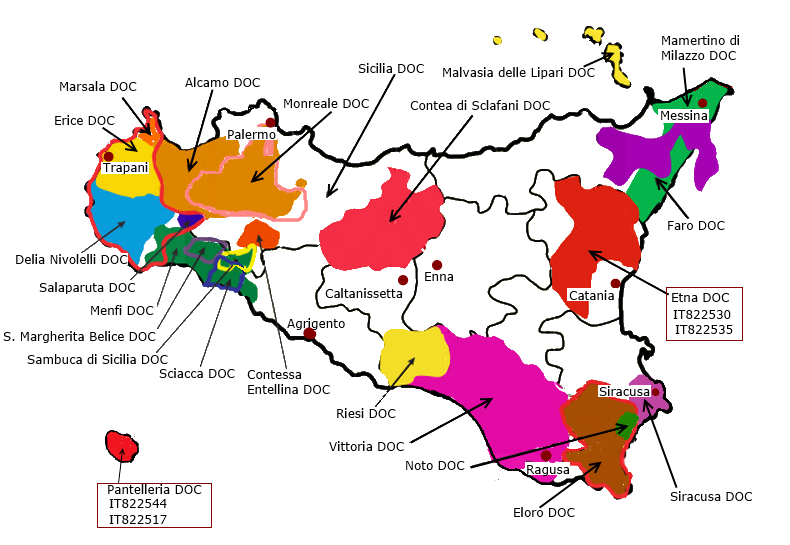 This turned out to be both simple and difficult: simple because I focused quickly on Etna and its environs, where some of the most interesting wines in Sicily are being made; and difficult because their distribution in this country is very spotty. I persevered, however, and came up with some lovely bottles. 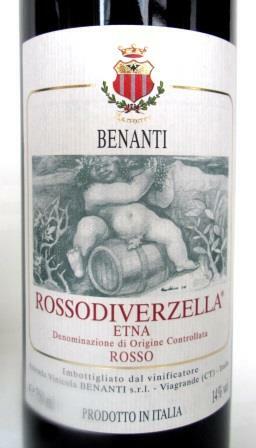 To wit: Benanti’s Biancodicaselle 2010 and Rossodiverzella 2010, Biondi’s Outis bianco 2009. But let me begin at the beginning. I chose Etna because it amounts to quintessential Sicily, even geologically. The northeastern third of Sicily that constitutes the Etna region is, in a manner of speaking, the sole indigenous piece of Sicily: The western two-thirds are geologically and climatically very different. In fact, that western portion of what is now Sicily is a chunk of north Africa that eons ago broke off, drifted north, and bumped into Etna, where it has stayed ever since. A good choice, both for geography and for wine. So, having said all that, I now have to admit that none of it applies to the first wine we tried that evening – my bad. For aperitivi, we drank Prosecco – not very Sicilian, but authorized (literally) by Camilleri’s treatment of the second course’s clams, which steamed them open in Prosecco, thereby opening the door for me to serve that delightfully light and pleasing sparkler to brace our palates for the meal to come. We tried two different ones: Nino Franco’s nv Rustico and Miotto’s nv Federa Extra Dry. totally charming – perfect starts to a hot-weather dinner. Both were light in body and alcohol and totally charming – perfect starts to a hot-weather dinner. With the first course of fresh anchovies, we drank the 2010 Biancodicaselle. Since Etna’s reputation has skyrocketed in Italian wine circles, many new producers have been entering the scene. Benanti is an Etna old-timer that has been making top-flight wine there for decades from some long-established, high-altitude vineyards. 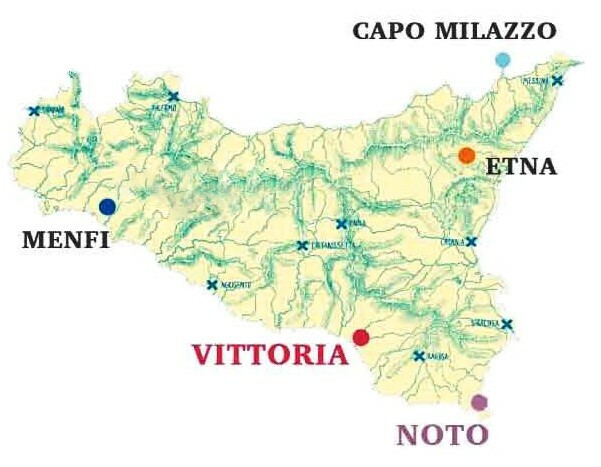 They – it’s a family firm – have been proudly cultivating very indigenous grapes – the white Carricante, which grows nowhere else in Sicily or in Italy, and the reds Nerello mascalese and Nerello cappuccio, which are specialties of Etna and its surrounds. On the volcano’s mineral-rich soils, these grapes yield extraordinary wines, unlike any others. Benanti’s Pietramarina, a cru 100% Carricante from some of its oldest, highest vineyards, stands among the small handful of Italy’s finest white wines (unfortunately, I couldn’t lay my hands on any in time for this dinner: damn!). The parallel red wine, Serra della Contessa, ranks right up there with Palari in the topmost tier of Sicilian – or Italian – red wines. For this dinner, because of that spotty distribution I mentioned above, I had to settle for a level below those two. Initially a disappointment, this turned out to be for my palate a blessing in disguise, in that the simpler wine matched better with the simplicity, directness, and freshness of the acidulated but uncooked anchovies. It still had the lovely, dry grapefruitiness of excellent Carricante grapes, and still those provocative Etna mineral tones that made it partner perfectly with the fleshy, oil-and-lemon-laced little fishes without either the dish or the drink dominating. For me, that’s the essence of a good pairing. We tried a different white with the baked clams, Biondi’s Outis. The intriguing name is Greek and means no one or no man. It’s what Odysseus told the Cyclops his name was, so that later, when the Cyclops bellowed in pain after Odysseus blinded him, and his fellow Cyclopes called out, “Who is hurting you?” he answered “No one,” and they all told him to just shut up, if that was the case. What that has to do with the wine I’m not exactly sure, beyond the fact that one version of the legend has the Cyclops living on or near Etna, but it makes a good story and an intriguing wine name. Whatever: this wine is made by Salvo Foti, who is chief enologist for Benanti and probably the most highly regarded wine maker in eastern Sicily. It differs from Benanti’s in incorporating a little (total 10%) Cataratto, Minella, Malvasia, and Muscatella dell’Etna into its Carricante. It also differs in style – a touch more rustic, perhaps, and definitely bigger, deeper, rounder in the mouth, showing both a little bit more Carricante and a little bit more Etna. The best way to put it is simply that it had more intensity, which was just fine for its place in the dinner. It was perfect with those succulent little morsels of clam, and even the deep-dyed red wine drinkers took an extra glass – for science, to be sure. With the earthy flavors of a very Sicilian beef roll, we drank the 2010 Rossodiverzella. This was a wine I can only describe as mellow, in the most honorific sense. 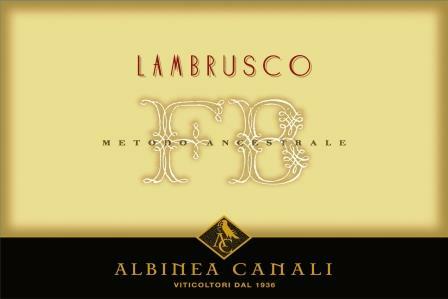 Round, soft, dark-fruited, tasting of that unmistakable Etna minerality, it was at the same time direct and undemanding. All it asked was that you enjoy it, which was an easy request to grant. The Nerello grapes that make up its blend are capable of lengthy cellaring, but for this particular dish an older wine might have been overkill. I like to keep the players in each course on a par with each other, so for me this match was just fine. With the cheese course, I broke pattern completely. 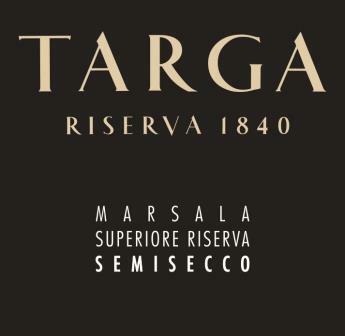 The cheeses were from northern Italy, and the wine was from The Kingdom of the Two Sicilies – that is to say, Naples – Mastroberardino’s Taurasi Riserva 1985. I had to get an older wine in there somewhere, and this proved to be the exact right spot for this elegant, deep, complex red – an absolute pleasure to drink. I do wish I had more of it, but that was my last, oldest bottle of Taurasi. Sigh. I do believe that even the seafood-loving Inspector Montalbano would have relished it, and forgiven my introduction of a “foreign” wine. Nowhere is it carved in stone that you must drink white wines or rosé all summer long. Not that that’s bad, mind you: I’ve had some lovely whites and enjoyable rosés so far this tarmac-melting season. But I can only go so long before my system requires red wine. The first signs of my withdrawal symptoms are usually quickening of the pulse at casual mentions of, say, Beaujolais, followed at the next stage by scent hallucinations: I keep thinking I smell Gragnano or Freisa. When that starts happening, Attention Must Be Paid. Maresca family legend has it that this addiction was formed in my earliest childhood, when my Neapolitan grandfather – the man whose youthful moustache style still adorns my upper lip – fed me slices of peaches that he had cut up and soaked in his glass of cellar-cool red wine. The most extreme forms of the story have me still in my highchair, which became a high chair indeed as I imbibed those wine-soaked peaches. I barely remember any of this, but I still enjoy peaches in wine. My grandfather’s wine was, I am sure, homemade stuff from the-cousins-down-on-the-farm, but peaches and I are adaptable: We’ll both work with just about any fresh, fruity red wine. 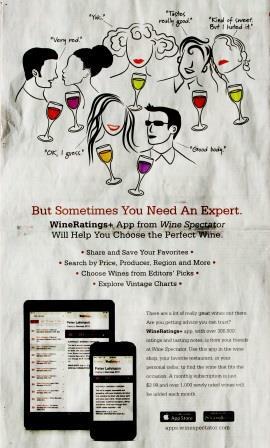 The easiest recourse, of course, is Beaujolais. 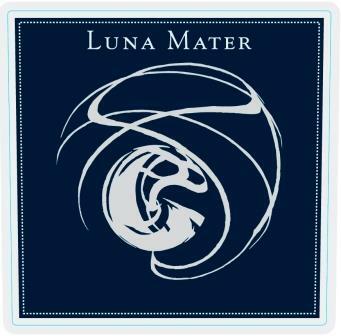 It’s available everywhere, and there are many good producers. In a pinch, I can even drink some of Georges Duboeuf’s better cru bottlings. His Julienas and Fleurie and Regnié seem to have a more modest touch of the banana-oil scent so prominent elsewhere in his line, which many years ago led some less-reverent wine journalists to refer to him as Georges Du Banane. 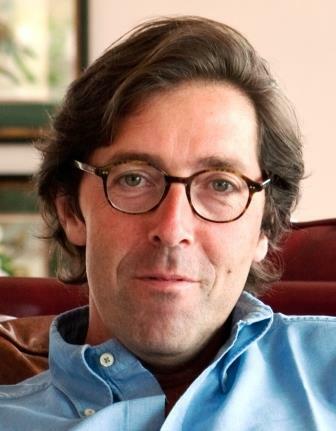 Duboeuf has the advantage of availability: His wines are sold almost everywhere. NB: For peach-soaking purposes, his simple Beaujolais Villages works best. But for savoring purposes, there are many excellent smaller Beaujolais producers whose wines are worth seeking out. Two of my favorites are Jean Paul Brun’s Terres Dorées and Coudert’s Clos de la Roilette. The latter’s Fleurie and Christal and the former’s Morgon, Fleurie, and Chénas are among my all-time top Beaujolais. In the US, Chénas is probably the least-known of the Beaujolais crus, but it’s one of my favorites for its intense individuality – and its surprisingly ability to age. In France, I have drunk 10- and 15-year-olds that were just lovely, almost Burgundian in their velvetiness and complexity. Moulin-à-vent is the cru that is best known here for its cellaring potential, but Morgon shouldn’t be overlooked in that regard either. Remember, it’s acidity that keeps a wine alive, and all Beaujolais have an abundance of that. Some Loire reds also serve very well in summer, since their soft fruit – Cabernet franc – makes them tolerant of a little chilling, in the manner of Beaujolais. Don’t ice them to death, but serve a good Saumur or Bourgueil at a true cellar temperature, around 50 to 55 degrees, and you can enjoy them in the steamiest of Julys and Augusts. I haven’t actually tried slicing peaches into any of these, but I see no reason why the combination shouldn’t taste fine. In the old days – which are getting more and more distant all the time – when red wines normally ran about 12 or 12.5 degrees of alcohol, you could even enjoy St. Emilion or Gigondas served cool on a hot summer evening, but today’s higher-alcohol wines don’t respond well to such treatment, and would probably overwhelm a humble peach – alas. 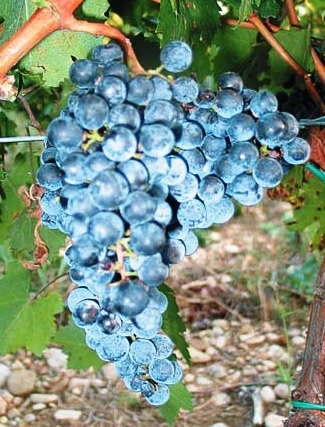 More recondite choices come from Italy: harder to find, perhaps, but worth the effort. Bardolino is a reviving appellation that deserves more attention than it gets. The best of them combine the kind of light, fresh fruit and vivacious acidity that make an excellent warm-weather dinner drink and companion to fish, white flesh, or salume or pastas – a very useful, almost-all-purpose wine, and certainly suitable for soaking a few peaches. Gragnano – a personal favorite, and probably close to the kind of wine my grandfather first dunked his peaches in as a young man in Italy – makes the perfect pizza or pasta summer wine. 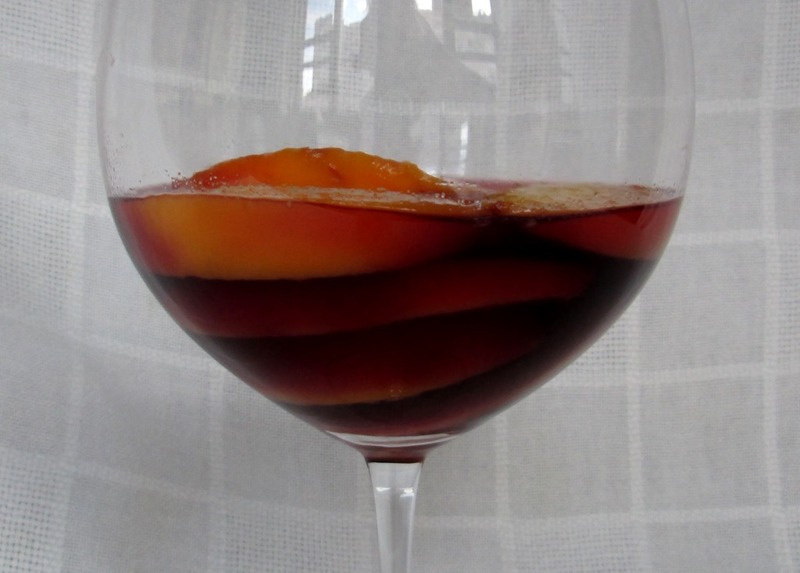 Grown in the Sorrento peninsula, it was once the ubiquitous everyday red wine of Naples, where I’m sure it still cradles many a peach slice after lunch and dinner. 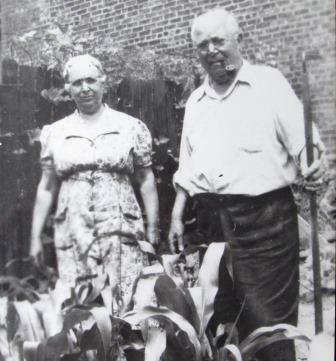 Several good growers – Grotta del Sole, Federiciane, and Monteleone for example – are now reviving the breed. Gragano is vinified from a blend of Piedirosso, Aglianico, and Sciascinoso, the latter a very localized, very Campanian variety. Sicily, as you might expect, offers some lovely warm weather reds, most notably Frappato and Cerasuolo di Vittoria. The latter should not be confused with the Marche’s Cerasuolo, an entirely different wine from an entirely different grape. The principal variety in both Sicilian wines is the indigenous Frappato, which makes a charming, light-bodied and light-cherry-colored wine under both denominations. Both are delightful hot-weather drinking and worth some effort to find. Back in the north, in addition to the big, austere Nebbiolo wines, the fields around Alba also produce Freisa and Grigolino, two wines that have lost ground – in the most literal sense – to the growth of Barolo and Barbaresco. Freisa and Grignolino are almost polar opposites of those two wines: both are lighter-bodied, acidic, and sprightly – indeed, you often find slightly fizzy examples. Freisa smells and tastes like a strawberry/raspberry cocktail with an underlayer of tar (we are in the Piedmont after all), while Grignolino is the grittier, earthier, seemingly more rustic wine of the two. Pio Cesare makes a lovely example of it, and several good small growers have remained loyal to/are turning back to Freisa. Both make great companions to a summer lunch or dinner, and both take a little chilling without losing anything – in fact, a slight chill seems to me to better release their aromas. So there are lots of wines to choose from, and you have no excuse to give up red wine because of the weather. 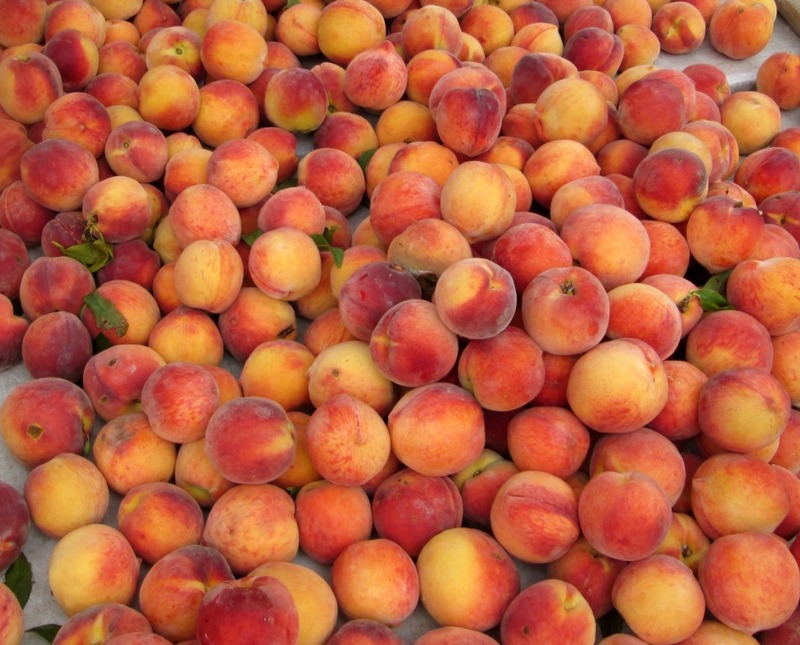 Get busy peeling and slicing those peaches! 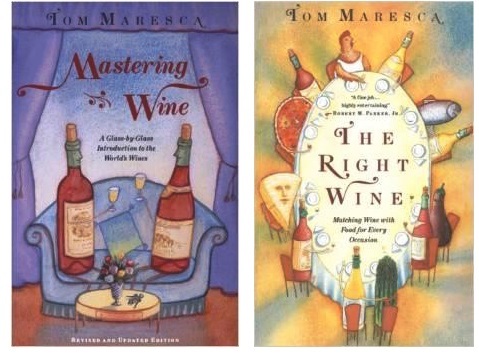 My book-writing days are probably behind me, but if I were to write a new wine book, I know what I’d call it – Native Uprising – and it would focus on the ascent of indigenous Italian grape varieties. Italian winemaking has made fantastic progress in the past 50 years (yes, my memory goes back that far, more’s the pity), and, while that progress may have been turbocharged by the phenomenon of the so-called supertuscans and the brief prominence of “international” (meaning grown in France and California and Australia) grape varieties, the real motor that has propelled it all along has been the native grapes of the many Italian wine regions. 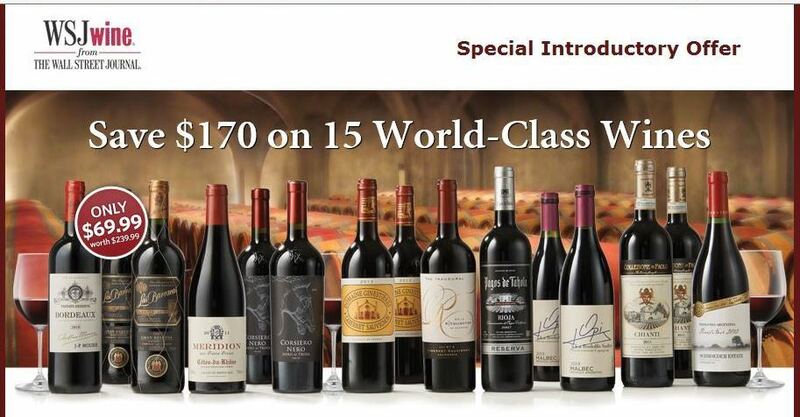 It’s probably a clear indication of the deeply ingrained chauvinism of the wine world that we continue to speak of “indigenous” or “native” Italian grapes, with often enough an implication of quaintness and lesser standing and quality, while no one – myself included – ever speaks of Cabernet and Merlot and Pinot Noir and Chardonnay, or even Syrah or Sauvignon, as indigenous French grapes – which, of course, they are. 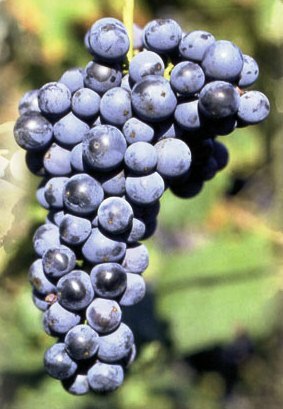 The fact that Nebbiolo and Sangiovese – not to mention Barbera – are now grown around the world hasn’t made them “international” varieties: they remain humble, indigenous – to Italy – grapes. So a good part of my reason for once again taking pen (keyboard?) in hand would be counter that notion of inferiority. It shouldn’t be too difficult. The strides that Piemontese and Tuscan winemakers in particular have made, and especially their success in drawing publicity, have certainly raised the visibility and the status of Nebbiolo and Sangiovese for any wine drinker who has gotten beyond an introductory level of wine knowledge. Other noble Italian red wines lag that level of recognition, but Aglianico and Amarone (not a grape variety, I know, but bear with me) are not far behind. White wines may be a little trickier, because so many of the fine whites of northern Italy are vinified from “international” varieties that have been cultivated in Friuli and Alto Adige for almost two centuries. (Which raises the interesting question, how long must a variety be grown in an area before it becomes native? And where did the ancestors of those “indigenous” French varieties originate?) 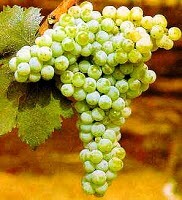 The excellence of many other Italian white varieties is only beginning to be discerned. The process is slow because so many of them are in the south, which for many wine lovers, and even for many Italians, is terra incognita. Which brings me to what would be the second purpose of the book I’ll probably never write: to call attention to the cornucopia of interesting-to-distinguished varieties awaiting their moment in the south of Italy. In a rather haphazard way, I’ve spent a lot of time in the past two or three years in southern Italy, and every visit has been a revelation. Maybe a learning experience is a better way to put it: not only have I been pleasantly surprised by the quality of the wines, but I have each time encountered grape varieties previously unknown to me. 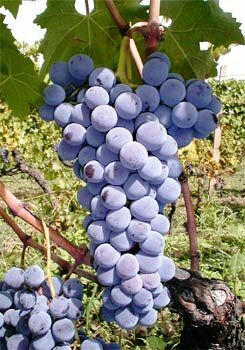 Even more important, these varieties have not been simply quaint survivors of another age, but grapes with real wine-making interest and potential. For example, let’s consider Puglia, which I’ve written about recently both here and in Decanter. 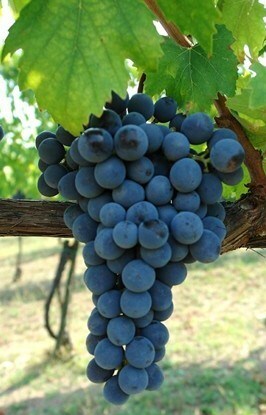 Almost everybody knows about Primitivo, the cousin of Zinfandel. There are some excellent ones, but in my opinion Primitivo is far less interesting than either Negroamaro or Uva di Troia, or even Susumaniello. 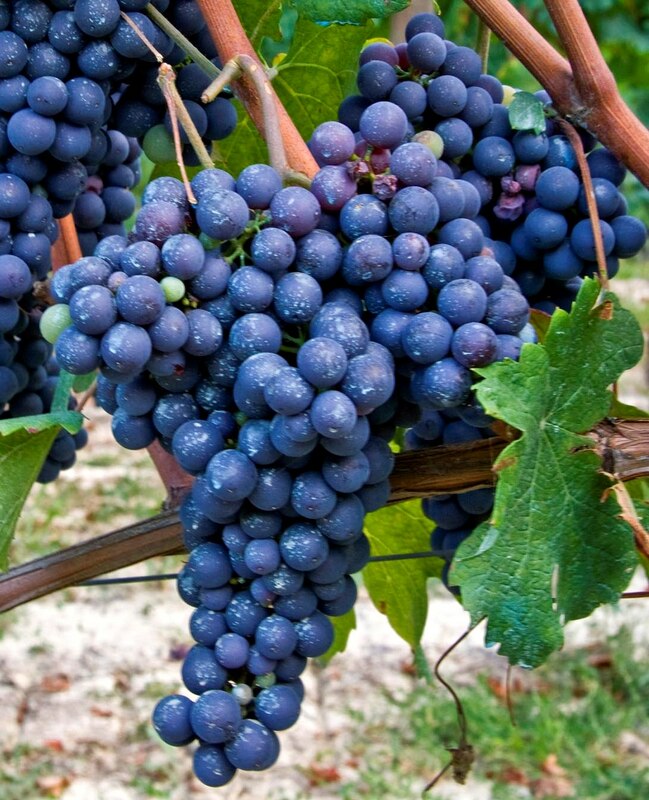 These are red grapes of distinctive character, and in the hands of careful producers they are already capable of making long-lived, high-quality wines. With more clonal research and more attention from more producers, their future is wide open. 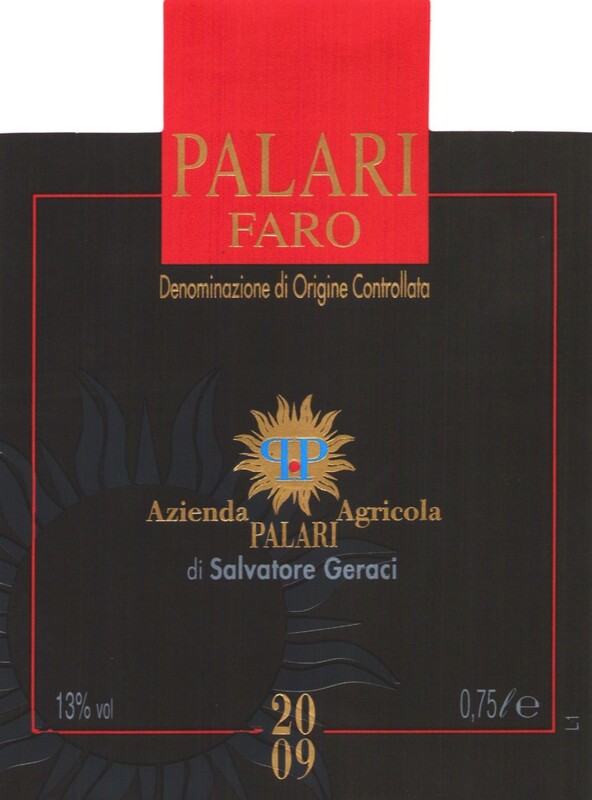 And in Sicily, the hyper-volcanic slopes of Etna already yield world-class wines, whites from the native Carricante and reds from Nerello mascalese, which also forms a major portion of what is probably Sicily’s most distinguished red wine, Palari, from the nearby Faro DOC. That’s far from the whole story even for the south: The white Falanghina is fine and getting better all the time, and the red Piedirosso, a long-time blending companion of Aglianico, is undergoing a significant revival. Even the once lightly regarded Coda di Volpe is rewarding serious attention from winemakers. Nor is the north of Italy exempt from this growing wave of attention to each region’s viticultural heritage. 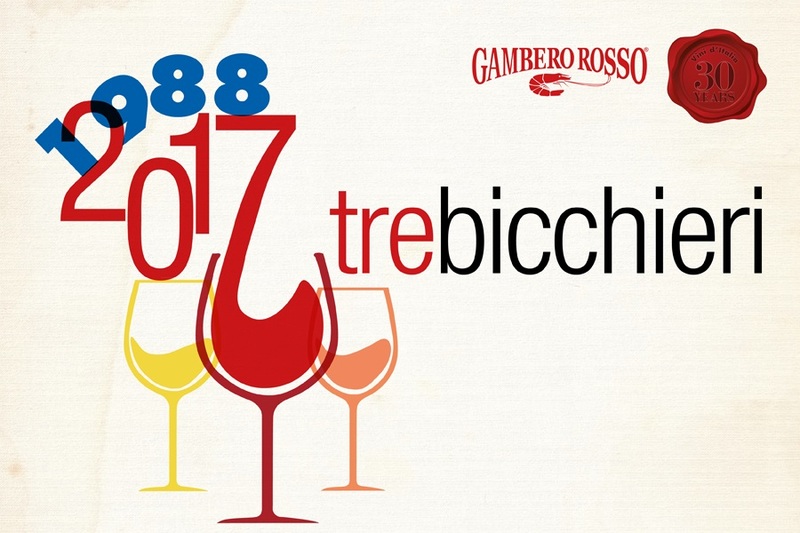 In Piedmont, Rucché and Timorasso – red and white respectively – lead the contingent of reviving varieties, with the whites Favorita and Nascetta getting more attention every year. .In Tuscany, Merlot is losing ground to Colorino and Mammolo as the blending grapes of choice in Chianti, with several experimental bottlings of monovarietal wines – especially of Colorino – already available. In the Veneto, the once-scorned local clone of Trebbiano is achieving real importance in the Soave zone. And Friuli is a minestrone of local varieties, especially of red grapes: Schiopettino, Tazzelenghe, and Pignolo, to name only the currently most important. This is by no means exhaustive: there are many, many more potentially noble varieties out there. So there is definitely a book to be written, and a lot of fascinating – and delicious – research to be done. I’m not feeling overly ambitious these days – grey winter weather always has that effect on me – but maybe I’ll do it yet.